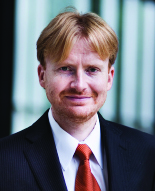 Gabor Virag joined the University of Toronto after spending 7 years as a faculty member at the Economics Department of the University of Rochester. He received his bachelor degree in Economics from the Budapest University of Economic Sciences, and a Master's degree in Economics from the Central European University. Then he obtained a PhD in Economics from Princeton University in 2004. Gabor's research papers have been published in journals like Games and Economic Behavior, International Economic Review, and Theoretical Economics. His main research interest is in Economic Theory. In particular, he studies decentralized market interaction using the tools of auction theory and search theory. He has also worked on online auctions, studying whether empirical bidding patterns confirm theoretical predictions. He has taught courses in Mathematical Economics and Industrial Organization in Rochester, and is currently teaching graduate and undergraduate courses in Finance.